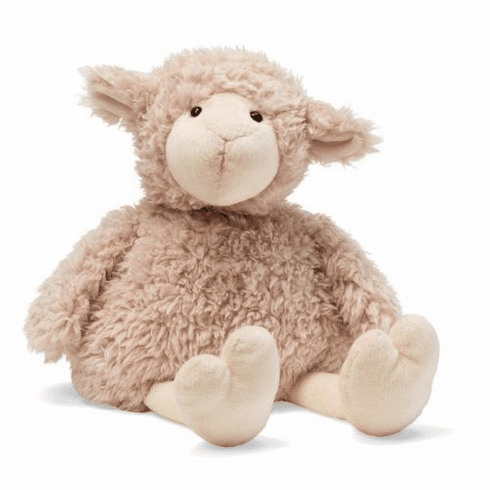 Just in time for Easter comes Curley Lamb from Gund. This fluffy beige lambs wide waist line looks as though he's had a few too many treats. He has a friendly face with a stitched on smile & plastic button eyes. He has super soft shaggy fur, with a plastic beans stuffed bottom & hes gently stuffed to make him extra floppy. His arms & legs dangle & his plastic beans stuffed bottom help him to sit in an upright position. Measures 15 inches.